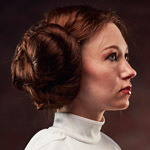 I originally made this gown in 2011, but I'm doing a massive overhaul to it this year. I'm starting a new thread since my original is 17 pages long. When I first made this costume, since the shape of it is rather Elizabethan, I decided to go with Elizabethan corsettry. 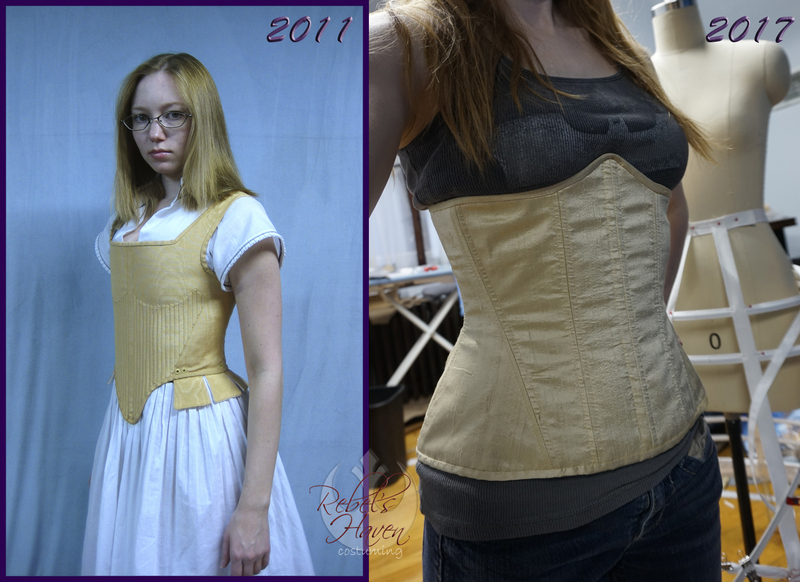 I made my corset based on one of the corset books I have (it might have been Janet Arnold), where the hoop skirt ties to the corset. The first time I wore it for hours at a con, I realized with the hoop skirt tied to the corset, the entire weight of the dress rested on my shoulders. After I took it off, I couldn't raise my arms for an hour. 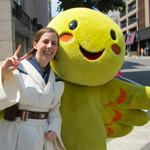 I've only worn this costume twice because of this issue. So, I decided to make a cincher instead. The hoopskirt will sit over the cincher, which means this time the weight of the costume is mostly on my hips which will hopefully make it more comfortable to wear. This is made from coutill, silk dupioni, and spring steel bones. 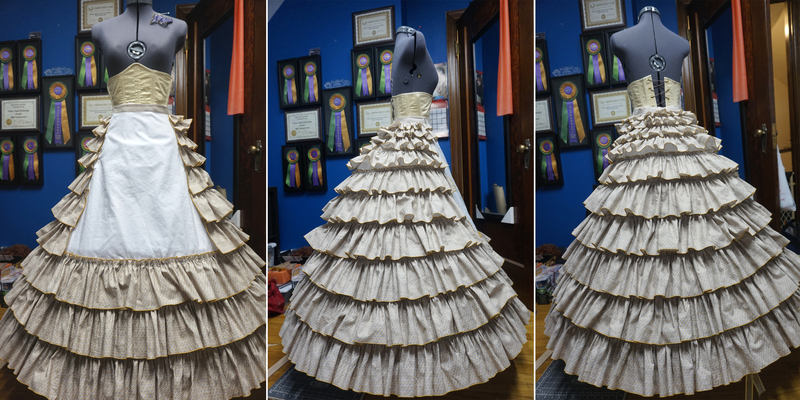 I wanted to make a bigger skirt with this redo, which means making a bigger hoopskirt. 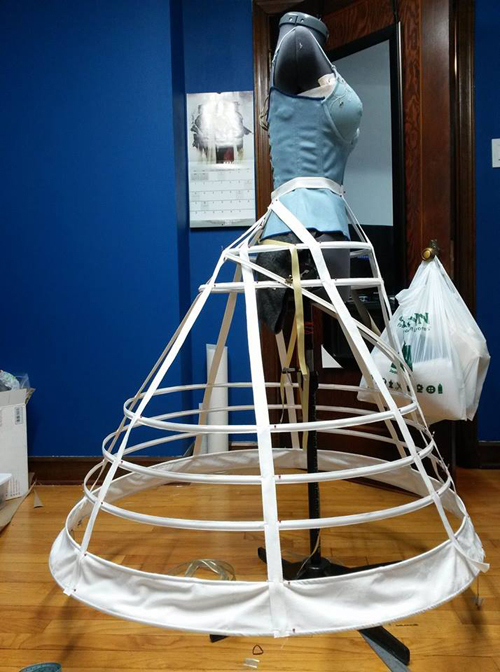 Since hoopsteel is expensive and I was already building a hoopskirt for a Cinderella costume, I decided to just use that one for this project. It... may or may not be too big, it'll be hard to tell until I actually finish and have it on. I forgot to take a picture of it, I have a partially finished picture of it. 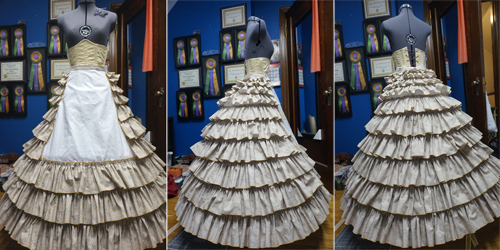 Of course, a hoopskirt needs a petticoat to hide the hoops through the fabric, and I may have gotten a tad ambitious. I wouldn't have thought of the shape of the corset putting all of the weight on your shoulders, but that's certainly something to consider. I absolutely love this gown!! 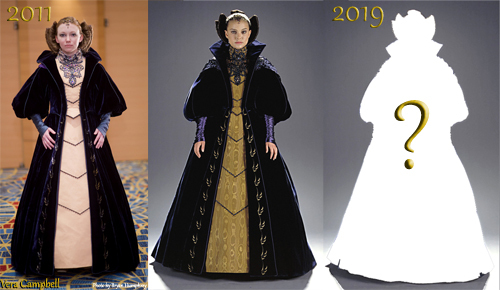 Until seeing that side by side I wouldn't have thought your original hoopskirt small, but now I see why you wanted it bigger. It's an interesting process to follow.